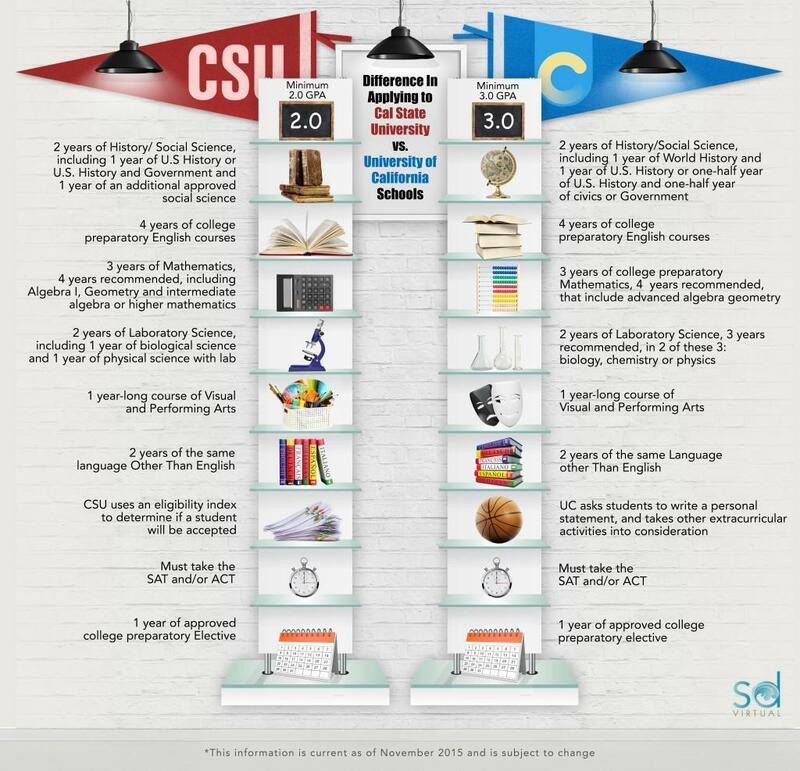 When applying to a California public college, students often wonder, “What is the difference between a CSU or UC?” For acceptance into both Cal State and UC Schools, a student must complete their high school graduation requirements as well as meet the “a-g” requirements in order to be eligible for acceptance. Below are the minimum requirements for admissions; please refer to individual school websites for specific admissions details. Two years of History/Social Science, including one year of U.S History or U.S. History and Government and one year of an additional approved social science.